This week we have introduced loads of new products perfect for new babies, baby showers and first birthdays. 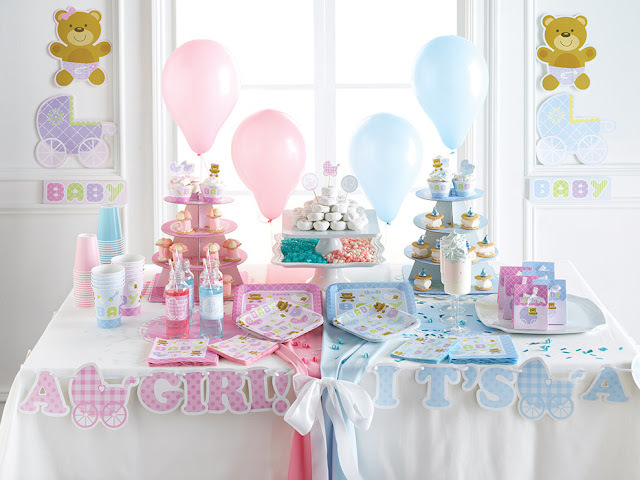 Our new 'It's a Boy' and 'It's a Girl' range have a beautiful design with details of prams, teddy bears, bottles and dummys. Each set is colour themed in the traditional blue or pink. This is the ideal set for any new arrival to the family. 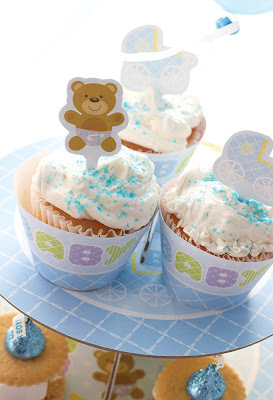 The adorable design makes it perfect for a baby shower. 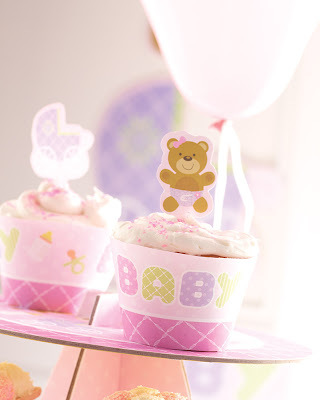 Don't forget to also get a few balloons and provide yummy snacks like cupcakes topped with our cupcake picks and surrounded by the matching cupcake wrappers. 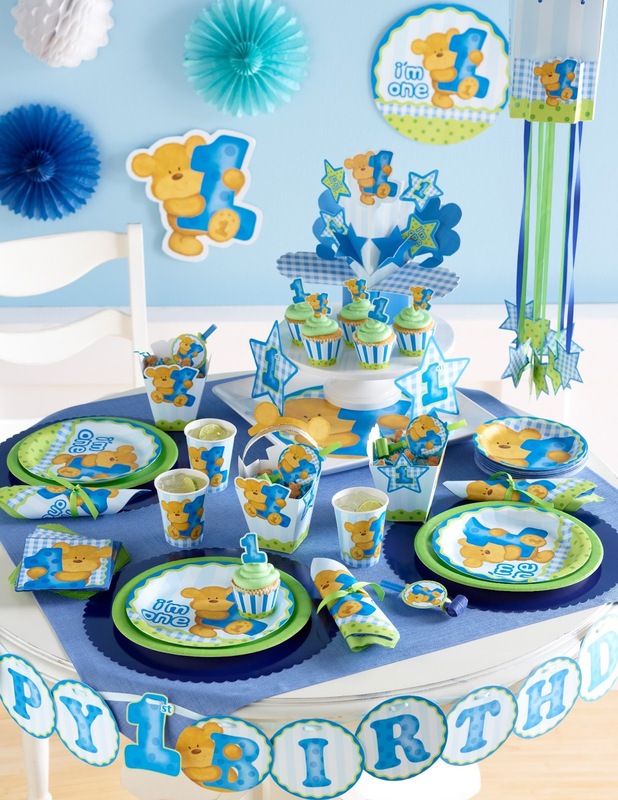 We've also got new girl's and boy's 1st birthday sets. Both the blue and pink design feature an adorable teddy bear holding a number one. The boy's theme predominantly features blues and green and the girl's theme features pinks and light greens. 'I'm One' writing features on a lot of the items. 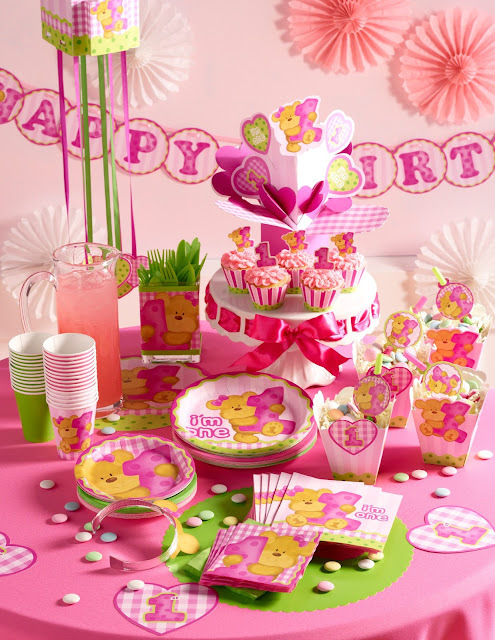 The bright colours and simple design make this set really visually pleasing and will create a wonderful, bright birthday party.